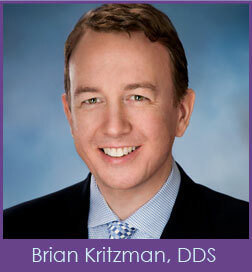 Kritzman Dental Arts offers cosmetic and restorative dentistry, too! With our gentle, patient-focused approach and use of innovative technologies, we produce healthy, beautiful smiles. We believe quality treatment paired with unparalleled comfort provides a positive dental experience. We focus exclusively on your comfort, making sure you are fully relaxed and anxiety-free. In fact, we will not even attempt a procedure unless you are 100% completely comfortable. We understand some patients harbor overwhelming dental fears, and can enhance your treatment with comfort dentistry. We believe in honest dental care, so we have no hidden fees. We prepare you for the total cost of our services so you can feel confident about affording your procedures. We discuss your treatment plan, and the costs associated with each phase before scheduling your dental visits. Our practice specializes in the art of cosmetic, general, and restorative dentistry minus the hassle. The finest training and contemporary methods give us the tools we need to give you a gorgeous, bright smile with minimally invasive treatments and fewer repeat visits.